Politicians are people who play active politics and also hold public offices either by election or by appointment. Whatever the situation maybe,it's now crystal clear that politics in Nigeria is more lucrative than oil business. Whenever a politician assume office in Nigeria or in other African countries,he or she will automatically become wealthy after leaving office. A lot of people accuse politicians of embezzlement of public funds,whatever the case may be,the fact still remains that some of these politicians are among the richest people in Nigeria. Rochas Okorocha is a politician from Imo state Nigeria,he is listed as one of the richest politician in Nigeria. He was a success business man before he joined politics. Rochas contested and won the Imo state governorship elections in 2011 and 2015 respectively. He is also the Founder of Rochas Foundation,an organization that provides special schools for the less privileged in the society. Rochas is estimated to have a net worth of about $1.5 billion dollars. Ibrahim Babangida is one of the most popular politician in Nigeria and definitely one of the richest. He was the former military president of Nigeria. IBB was also famous for the annulment of the June 12 election that MKO Abiola win in 1991. IBB is said to be worth billions of dollars. IBB is estimated to have a net worth of about $5billion dollars. Olusegun Obasanjo popularly called ''OBJ'' or ''Baba'' is one of the richest politician in Nigeria,he hails from Ogun state Nigeria. The veteran politician owns the Otta Farms and other businesses and investments in the country,it's also rumored that he has some oil blocks and some stake in MTN Nigeria. Obj was Nigeria’s former military head of state from 1976 to 1979 and was also democratically elected as president from May 1999 to May 2007. During the military era Olusegun Obasanjo was given credit for handing over power to a civilian government. Over the years he has amassed wealth,Obj has an estimated net worth of about $1.6 Billion dollars. Atiku Abubakar is one of the most famous vice president in Nigerian history. He served as the vice president under Obasanjo’s regime from May 1999 to May 2007. He was also a former comptroller of the Nigerian customs. Atiku Abubakar has diversified business interests,he owns a logistics company and also founded the American University of Nigeria (AUN) in 2005 amongst other investments including real estate business. Atiku Abubakar is estimated to have a net worth of about $1.4 Billion dollars. Bola Tinubu is a veteran Nigerian politician and also the former governor of Lagos State. Bola Ahmed Tinubu was also a former senator,and his wife is a current serving senator. 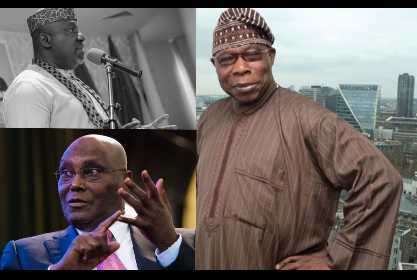 In this post we shall quickly take a look at some of the top 10 richest politicians in Nigeria this year in no particular order. He is also one of the high ranking APC’s party ruler and is regarded by some people as a very strong politician,probably that's why he is nicknamed ''Jagaban''. He has an estimated net worth of about $1.5 billion dollars. Ben Murray-Bruce is the the chairman of Silverbird Group. He represents Bayelsa East constituency currently in the senate house. Mr Ben Murray-Bruce is also very savvy on social media network especially Twitter. He was once the chairman of the SilverBird group which is a family business. Mr Ben Murray Bruce has been credited for bringing the MBGN to Nigeria. Mr Murray Bruce has an estimated net worth of about $715 million dollars. Ifeanyi Ubah was already a multimillionaire before he ventured into politics. According to sources he made his first million as a teenager whe he was just 19 years. He hails from Nnewi in Anambra state and is among the richest politicians in Nigeria. He has business interests in exporting spare parts,real estate,oil and gas,transport, he even bought a football club and named the club Ifeanyi Ubah FC. He currently has an estimated net worth of $1.7 billion dollars. The outspoken and controversial senator representing the people of Kogi east in the senate house is ranked as one of the richest politicians in Nigeria. He has spoken severally against the current administration,this has put him on the hot seat. Dino Melaye owns fleet of exotic cars,motorcycles,and different properties,he is never shy to show it off on social media. Dino is estimated to have a net worth of about $800 million dollars. Orji Uzor Kalu is the former governor of Abia state and definitely one of the richest politicians in Nigeria. He is the chairman of Sun Daily and New telegraph. The former governor and business man is said to have an estimated net worth of $1.1billion dollars. Rotimi Amaechi is the former governor of Rivers state from May 2007 to May 2015. Afterwards he became the minister of transportation under the Buhari APC led government. Before then,he was also speaker, House of Assembly from 1999 to 2007. His net worth is estimated to be $780 million dollars. This is the current list of some of the richest politicians in Nigeria.